Excellent new release on Hot Since 82’s label with the original version sounding inescapably big in all the right places. Fuelled by driving percussion and a grinding bassline that feels irresistibly funky, plus with the vocal line adding just the right slice of melody, this soon climaxes via a blaze of synthesiser colouring the arrangement. 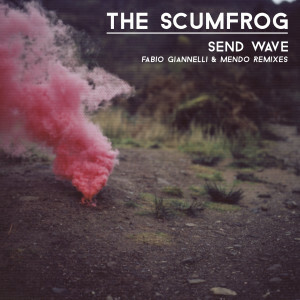 Remixes come from Mendo who pumps up the rhythm with fresh vocal samples and fiery snares hits, and from Get Physical’s Fabio Gianelli who injects Acid flavour into his first-rate version giving the vocals a new lease of life with an evolving sense of tension crafted from a sizzling blend of synths. You don’t have to love Jazz to dig this but of course you should already do so in the first place! I guess the title track refers to one of great pianists of last century, Thelonious Monk whose innovative genius has yet to be bettered in this millennium. The arrangement is a piecing collection of notes that fall into place as the music evolves with moody pads and edgy atmosphere’s accompanying the jazzy notation to produce a startlingly cool piece of music that also hints at the roots of House. An Evening At Urban Spree happens next with spoken words adding bite to the brutal, snazzy percussion alongside blazing Saxophone. The more organic On The Loose (Feat. Elbi) ends on a deeper tip with soulfully charged vocals feeling bittersweet over a piano adornment, rich in life and cinematic in scope. Two new tracks go to make up this latest release from Asymmetric with the Greek Dj’s Dazzling by name and nature certainly sounding epic. Love the strange concoction of off-the-wall sound effects that lend this a jagged edge while the straight-up drums and rumbling bass supply an inexcusably big punch to the production. 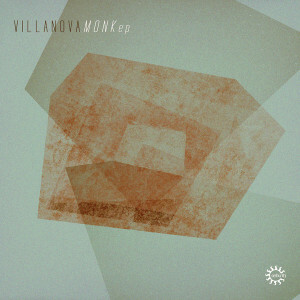 Second original, Consistency then fuses gritty Acid synths together with crisp drums again producing music high on atmosphere that sounds even more impactful the louder it gets! Ahh, the sound of summer soul music. Just as the title says: life is good. Spend time and check this raspy, emotive vocal delivery which says something about the state of play that’s actually worth saying. The sassy guitar and drums backing sound all the better with the rousing horn section plus good old bv’s supporting too. Lots of mixes to choose from beside the classy original with special attention going to Technimatic’s blissful yet energetic D&B which is quite possibly even better.